Um... no. I am not. I can't deny it, I am woefully unprepared. I have been thinking about it a lot lately, though. Which is why I was more than happy to be given the task of critiquing the new Retiresavvy website. Pension provision effects everyone and I think a lot of us, like me, tend to bury their heads in the sand and hope for the best. However, options for retirement and pensions are changing and it is really important to stay in the loop of what's available and how to prepare for the future. 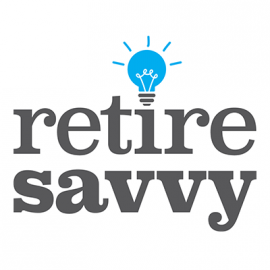 What I liked about Retiresavvy was the easy to navigate, straightforward layout. It was a little bit busy and the colours are a too bland for me (what's wrong with a splash of purple?!) but there was lots of easily accessed information, presented in a way that wasn't scary or intimidating. The whole website has a really matter of fact feel to it and actively encourages you to make the first steps towards finding out more about your pension provision. It draws your head out of the sand with articles and facts from other forum members, who appear reassuringly average, and offer lots of relevant advice. 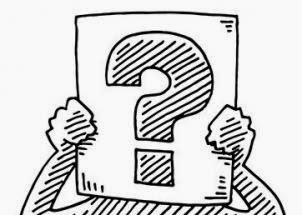 There are also FAQs, that made me feel a lot less daft for not knowing some of the facts about retirement that I probably should! Probably my favourite tool on the website was the Jargon Buster. The whole website clearly works so hard to demystify the process of retirement provision, but this aspect is so... necessary! I felt so much more informed after reading it, and it will be so easy to refer back to as and when I need to. Another positive aspect was that the website is very much aimed at everybody, not just people of a certain age. This is so important, because, realistically, the sooner you start planning, the better it will be in the long run, as you will have longer to spread out your payments. In conclusion, this website is long overdue in providing a valuable resource for anyone who needs to think about retirement planning. It provides the answers to the conflicting questions we are all faced with, such as how much to save and where to save it, whilst walking you through the answers in a way that isn't patronising, yet serves to leave you feeling informed and not blinded by jargon. I highly recommend it, it's a great read, even if you are not in a position to do anything to change or improve your retirement position now. This website will make you feel much better equipped for when you are ready to make changes, and this can only be a good thing.